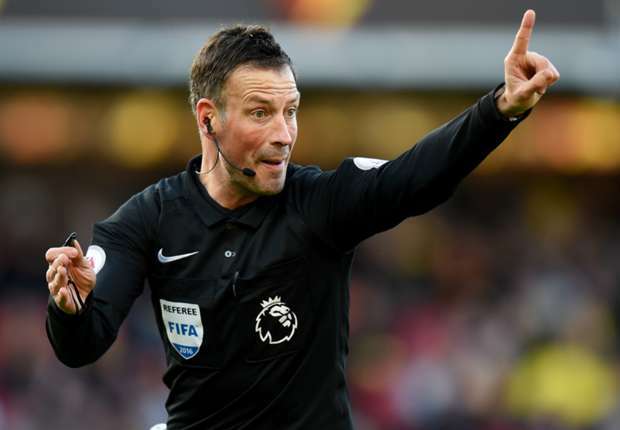 Former Premier League referee, Mark Clattenburg, has admitted he went into the 2-2 draw between Chelsea and Tottenham in May 2016, with a “gameplan”. According to Clattenburg, he did not want to be blamed for their failure to win the title. Spurs needed to beat Chelsea at Stamford Bridge to keep their hopes alive and went 2-0 up before the break, but they ultimately let that lead slip in an ill-tempered second half. In total, Mauricio Pochettino’s men picked up nine yellow cards to Chelsea’s three, while record fines of £375,000 and £225,000 were handed out to the clubs for failing to control their players. Spurs’ Mousa Dembele also received a six-match ban, for appearing to eye-gouge Chelsea’s Diego Costa. Now the head of refereeing for the Saudi Arabian Football Federation, Clattenburg told NBC’s Men in Blazers podcast: “I went in with a gameplan, that I didn’t want Tottenham blaming Mark Clattenburg that they were going to lose the title. “There should have been three red cards to Tottenham. I allowed them [Spurs] to self-destruct so all the media, all the people in the world went: ‘Tottenham lost the title’. “If I sent three players off from Tottenham, what are the headlines? ‘Clattenburg cost Tottenham the title’. “It was pure theatre that Tottenham self-destructed against Chelsea and Leicester won the title. Put to him that he had, to an extent, scripted the match, Clattenburg explained: “I helped the game. I certainly benefited the game by my style of refereeing. “Some referees would have played by the book; Tottenham would have been down to seven or eight players and probably lost and they would’ve been looking for an excuse.